Custom Homes in Huntsville: Why Go for a Swimming Pool? 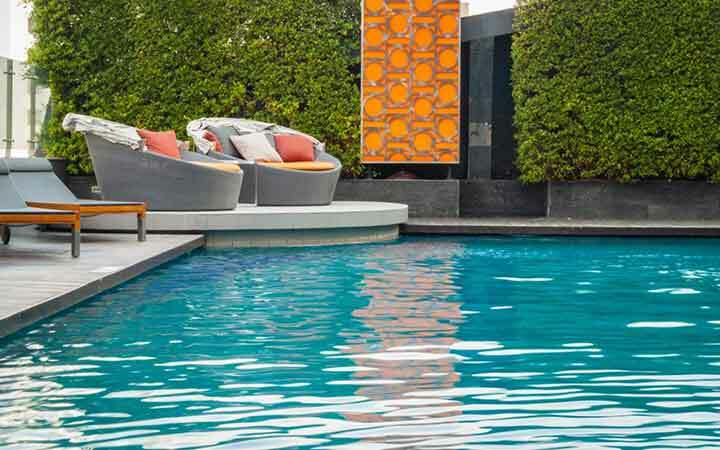 A swimming pool can greatly add to the ‘fun’ element in a house. Who does not like to dance to the tune of the waves? For most people, swimming is a relaxing activity that helps in cooling down both mentally and physically. Through a Huntsville custom homes design project, you can also indulge in this luxury every day. If you have never given a thought to adding a swimming pool to your house, here are some of the benefits that may inspire you to change your mind. With families being torn apart by heaps of distractions such as cell phones, iPods, and TV, sharing quality time together can be tough. The swimming pool can serve as a place where family members can engage in a fun activity with no distractions and only the sound of laughter and smiles. Another benefit of a swimming pool is that it can help in improving cardiovascular health. Swimming is similar to running in burning calories and improving heart health. If you don’t like running, you can always switch to swimming. You can perform all types of exercises such as breaststroke, butterfly, freestyle crawls — all of which inflicts minimal strain on the body. You can perform the exercise for a long period of time without any risk of an injury. Once you are done swimming, you can hop out and still feel refreshed. You don’t have to suffer from sore muscles or feet when exercising. Swimming pools serve as the best place for aqua therapy. The therapy typically involves using weighted body wraps and water weights. The exercise is recommended for people with muscle and bone conditions. Moreover, this exercise can also benefit healthy individuals by strengthening the muscles and bone density. Swimming pools serve as a spontaneous recreation medium. There is no need to drive to private or public pools. You can indulge in the fun activity anytime you desire. Just change clothes, jump in, and have refreshing fun in the swimming pool. When you have a swimming pool in the backyard, any day is a fun time for all. A lot of people take vacations a few times a year, particularly during the summers. But having a swimming pool will be a great reason for you to spend quality time with the family in the backyard. You can have a staycation that will keep the kids busy and the wallets heavy. Your swimming pool can serve as a relaxing escapade. Being around the pool is one of the best stress relievers. You will find your worries wash away when you spend time luxuriating in the pool. If you can’t seem to find the motivation to hit the gym to stay in shape, a swimming pool can be the ideal alternative for you. Swimming is a great way to lose weight. The activity burns a lot of calories. The butterfly is the best stroke for burning calories fast. The stroke will burn around 150 calories in just 10 minutes. You can find yourself fit and fully refreshed all day long when you have a backyard swimming pool. Investing in a Huntsville Custom homes design swimming pool project is a wise choice. A swimming pool can be beneficial for your health and happiness. Moreover, it can add to your home’s value providing a positive return on investment.